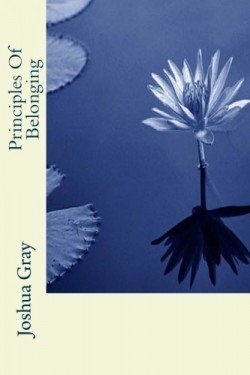 Principles of Belonging is a book length poem written in many different poetic forms, including Anglo-Saxon, Blank (Iambic Pentameter), Cynneghanedd (Welsh) and Sanskrit, which is an ancient form of syllabic meter. Sanskrit is a historical Indo-Aryan language, the primary liturgical language of Hinduism and a literary and scholarly language in Buddhism and Jainism, and Gray adapted the poetic form into English. The poem follows four children who struggle for a sense of belonging that continues to elude them even in adulthood. Their lives come together despite large geographical differences and debilitating childhood experiences that include alcoholism, Indian Partition, poorly located hernias and a father with a big secret -- eventually finding what they were looking for. Name(s) to use when I sign, if different from buyer?